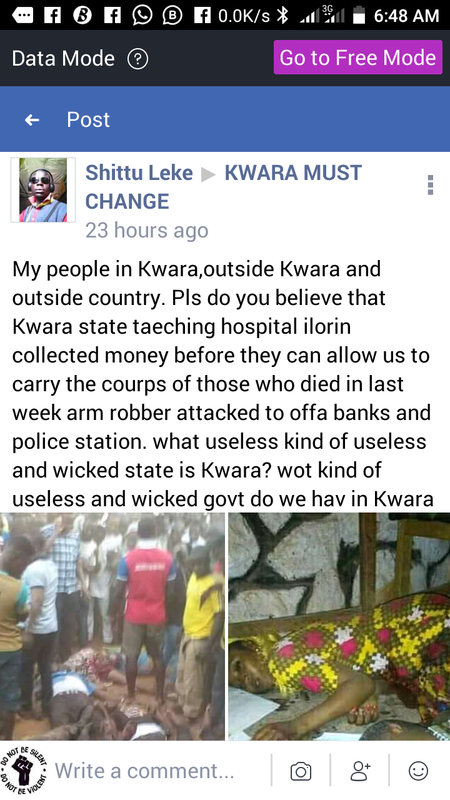 Information on the desk of Kwarareporters have it that the University Of Ilorin Teaching Hospital are charging the family of the dead victim of the Offa bloody robbery before they can recover the corpse of their love ones. 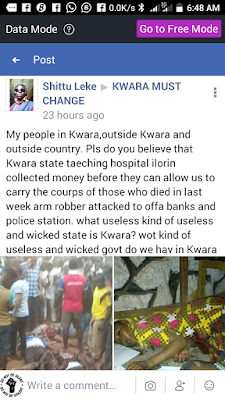 According to one Mr Shittu Leke who posted his personal experience on a Facebook group yesterday claimed that they have to pay to recover the remains of their love ones at the Teaching hospital in Ilorin UITH. 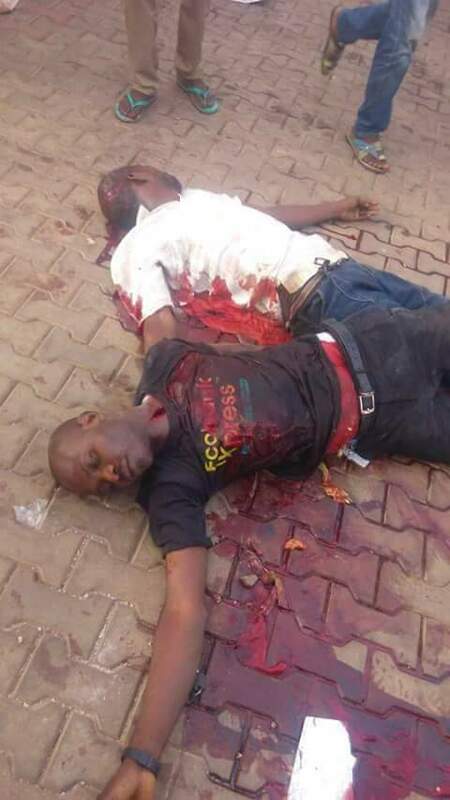 And if you could remember last week when the Governor of Kwara state Dr. Abdulfatah Ahmed visited the hospitals where the victims of the incident were taken to he said in his press release "Gov Abdulfatah Ahmed also pledges to foot medical bills of the injured and hospitalized at the hospital, General Hospital, Offa and UITH" but now the story is different. The question now is who is lying? More investigation is still on going concerning the matter once we are through we will update you.